The cognac house was founded by Pierre Ferrand (1930-2013). Pierre came from a traditional family of bouilleur de cru (which means: a Cognac maker who distills only its own harvest) who settled in Segonzac, in the heart of the Grande Champagne growth area of Cognac (Cognac's 1st Cru) ever since 1702. Pierre, his children and grandchildren have spent more than 25 years to rebuild the family business and a new brand - which after all sells the same product as before. 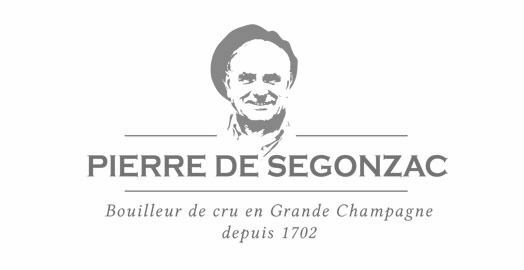 Today, the family sells its exceptional Cognacs under the brand of Pierre de Segonzac. The portrait of Pierre is the company's logo. Today, Pierre's grand son Pablo Ferrand runs the family estate vineyards in La Nérolle, Segonzac. The family still distills its wine, ages its eau-de-vie with the same care and tradition like in the old days. Christian, Pablo's father is in charge of customer service and distribution - all over the world. Pierre would have surely been very proud to see the revival of Pierre's brand: Pierre de Segonzac. Making the town of Segonzac his home in 1702, Jacques Ferrand established his vineyard on the chalky soils of the finest Grande Champagne region. The house has been passed down through the generations, each staying faithful to the traditional methods that Jacques Ferrand began. In 1930, Pierre Ferrand created a cognac company. Today the family's brand is called Pierre de Segonzac. Pierre’s grand son, Pablo now runs the house. Ugni-blanc grapes cover the whole of the estate’s 75 acres, and Pierre de Segonzac Cognac is one of a dwindling number of family-run cognac producers left. To survive in this fiercely competitive industry, the house produces only the oldest and the most prestigious of products. You won’t find a bottle of Pierre de Segonzac any younger than 10 years, as this is the minimum aging period they allow for their cognacs before they can be used as part of a blend. As a result, and proud to continue in the ways of old, Pierre de Segonzac cognacs are only bottled and sold to order. The family also runs the flourishing cognac business Cognac Only with boutiques in La Rochelle and Bordeaux. Here, they sell a large variety of cognacs and products from the region, while strongly promoting sales of smaller producers. Pierre de Segonzac’s cognacs range from a VSOP upwards, with the jewel in the house’s crown being “Ancestrale”. With only a strictly limited number of bottles released each year, this ancient cognac is produced purely from cognac made by Pierre Ferrand’s grandfather and great-grandfather – André and Abel Ferrand. There is no information available about visiting the cognac house.